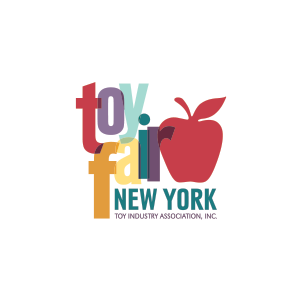 One of the leading designers and marketers of children’s toys and consumer products, JAKKS Pacific, Inc. (NASDAQ: JAKK) unveils its roster of 2017 toy and entertainment products at the American International Toy Fair in New York City. 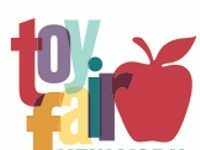 From active play to activity toys and collectibles to hot entertainment properties JAKKS has the perfect toy for all ages. New this year, JAKKS further pushes the boundary of active play and fun with Mighty Runner™, the innovative lead item within the new Little Mighty Gym brand designed to promote active play for kids ages 5 to 10. Also new from JAKKS owned-intellectual properties are the Chocolate Egg Surprise Maker™ that allows kids to make their very own chocolate surprise gifts and Cuppatinis™, two-in-one transforming dolls. Finally, fans of all ages will love new product lines of highly detailed, unique dolls and figures from entertainment-licensed properties such as DC, which will inspire young people today to embrace their inner Super Hero, and the Smurfs™, who encourages kids to find adventure in everyday activities. Mighty Runner™ is an interactive, endless runner gaming system geared to kids ages 5 to 10 that combines physical and digital play and is controlled by the kids’ feet. The Mighty Runner™ gaming system will include a free downloadable app that is compatible with any iOS and Android device, and connects to the system through Bluetooth. Players will be able to set up an individual profile and customize their character by selecting from thousands of combinations including gender, clothing, accessories, hair style and color, skin tones and eye color, to name a few. The first edition game will include three different worlds for kids to play: Amazon Adventure, Zombie Dash, and Track and Field. Each game comes with multiple levels and diverse terrain to navigate. As players run, jump, and slide, they grab gold coins while simultaneously dodging obstacles, objects, or zombies. When kids collect coins, new worlds open and it increases their options of what accessories they can add to their profile. Cuppatinis™ Dolls Assortment: Girls will love hosting their very own tea party with these cute 3.5-inch dolls that transform from doll to teacup with a simple flip of their skirts! Collect all 6 dolls: Cha Cha Chai, Carmela la Crème, Rose Hippensip, Mocha Lisa, Lola Vander and Jasmint. WORLD OF NINTENDO® Figures and Plush: Highly detailed figures that are soft-to-the-touch and with up to 13 points of articulation, and embroidered, detailed plush toys which seem as though the characters have jumped off the screen. These authentic figures and plush include some of the most iconic Nintendo characters. Each figure comes with a power-up accessory for added play and the line features many of the top characters from franchises such as Super Mario™, The Legend of Zelda™, Star Fox™, Metroid™, Donkey Kong™, Animal Crossing™, and more. Chocolate Egg Surprise Maker™: The only surprise egg maker that allows kids to make their very own chocolate surprise gifts! Easy to use, fun for the whole family and kids will love making, eating and gifting these chocolate eggs! DC Super Hero Girls – Wonder Woman Action Purse is the perfect accessory to get ready for action when crime arises! This 2-n-1 action purse with built in bow and arrows is created with Wonder Woman’s iconic, red, white and blue colors and includes a detachable bow handle and 4 arrows for bow and arrow action play. BIG-FIGS™: BIG-FIGS action figures are an all-new BIG way to play out the excitement of your favorite brands. BIG-FIGS from JAKKS Pacific are the ultimate in action figures. Ranging in scale from 20-inches to 48-inches, these big figures are huge on fun for kids and collectors alike. The line includes some of the most popular entertainment licenses such as DC, Power Rangers, Nintendo, and more. Smurfs™: Highly detailed figures, playsets, and plush toys of iconic Smurf™ characters Smurfette™, Brainy™, Clumsy™, Hefty™, Papa Smurf™ and introducing Smurflily™. Disney’s Beauty and the Beast Ballroom Belle: Belle is radiant with beauty and grace as she descends the grand staircase into the enchanted ballroom. Ballroom Belle is a large-scale doll standing approximately 14-inches tall, and dressed in her beautiful yellow ball gown with gold details, shoes, plus her iconic “tree of life” pendant necklace, inspired by the film. Disney’s Elena of Avalor Action & Adventure Feature Doll: Kids can relive the story and adventure of Elena of Avalor with the new Elena of Avalor Action & Adventure Feature Doll. With two ways to play, kids will love placing Elena’s sword in her hand for a swinging action, or placing her skirt loops in Elena’s hands to have her dance and sing “My Time” from the show! The doll plays three songs and says more than 20 phrases! Marvel’s Guardians of the Galaxy Vol. 2: XPV® Rock N’ Roll Groot™: Kids will love to control this new remote-controlled Rock N’ Roll Groot as he dances, spins, talks and lights up! Kids can enjoy playing with Groot in two different play modes: Manual and Listen. In Manual Mode, kids control the action with the remote, modeled after the iconic “Awesome Mix” cassette tape, while the song “Flashlight” plays. Groot can shimmy back and forth or spin around on the ground with some awesome moves. He will even spin himself back upright! In Listen Mode, Groot will dance on his own to almost any song when placed near a speaker. There is also a button on the remote that triggers four different “I am Groot” phrases during play. The base of the unit lights up as well for a galactic dance party with Groot! JAKKS Pacific, Inc. (NASDAQ: JAKK) is a leading designer, manufacturer and marketer of toys and consumer products sold throughout the world, with its headquarters in Santa Monica, California. JAKKS Pacific’s popular proprietary brands include BIG-FIGS™, XPV®, Max Tow™ and Friends, Disguise®, Moose Mountain®, Funnoodle®, Maui®, Kids Only!®; a wide range of entertainment-inspired products featuring premier licensed properties; and C’est Moi™, a skincare and performance makeup brand. Through JAKKS Cares, the company’s commitment to philanthropy, JAKKS is helping to make a positive impact on the lives of children. Visit us at www.jakks.com and follow us on Instagram (@jakkstoys), Twitter (@jakkstoys) and Facebook (JAKKS Pacific).